Even the smallest areas can feel like a back yard oasis with the right design! Save Money - You save 50% when you split the cost of a new fence with your neighbour. Sub-divisions are our specialty! Have a complex design in mind? Nothing is beyond our capabilities. We have the equipment and crews to handle multiple large subdivisions simultaneously. Gates don't have to be boring. Add an insert - an affordable upgrade that adds tremendous value and beauty. Have an unsightly mess under your Deck? We can provide custom storage solutions blended neatly into the design of the deck. New Brown pressure treated lumber is producing some beautiful results. Although most prefer to match their gate to their fence, we can add an insert or customize any gate. Ask us for a quote. The beauty of cedar turns an everyday fence into a masterpiece. Why is CAN DO Fence & Deck your best choice? We are your new home sub-division fencing experts! This is our commitment to expert installation and quality; no exceptions. 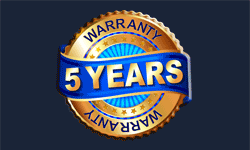 Our warranty covers critical items such as Post Installation, Structural Integrity & Loose Sections. 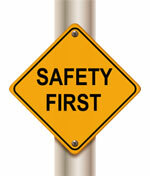 Any structural issues resulting in sections of fence being loose or coming off supports is fully covered for 5 years! By choosing CAN DO Fence & Deck, you don't have to worry about costly mistakes or disputes with neighbours! We have crews in your area. CAN DO Fence and Deck services all of the GTA / Toronto, as well as Vaughan, Stouffville, Markham, Milton, Newmarket, Woodbridge, Richmond Hill, Thornhill, Aurora, Maple, East & West Gwillimbury, Bradford, Sharon, Innisfil, Mount Albert, Barrie, Shomberg, Ajax, Oshawa, Mississauga, Brampton, Brooklin, Whitby, Oakville, Burlington and more!